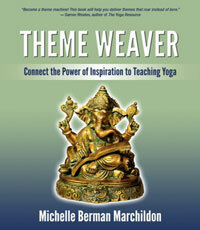 “Teaching yoga will change your life. 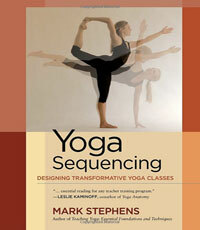 It will continually bring you back to your earliest motivations to practice and add abundant clarity to the questions you first asked yourself about yoga.” Wonderfully comprehensive with writing that is both fluid and straightforward. 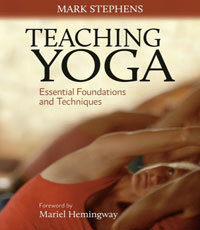 “Teaching yoga is a joy and a privilege. It is your path and your profession to help others find healing, space, and inner peace. Make every moment count.” Excellent introduction for beginning yoga teachers — the tone is encouraging and the content is thoughtful + organized. 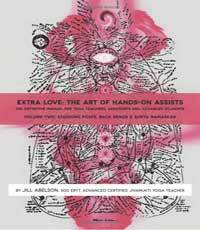 Sections like First Class Facts, Emotional Effects of Asana, and Frustration in the Body are standouts. 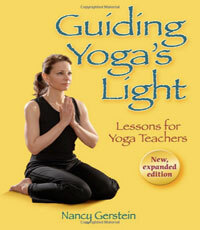 “The best instructors are the ones who help us realize our potential as well as our poses. After all, any gym teacher can ask you to touch your toes, but yoga is about finding more on the mat. . . . I am here to serve you, to take the mystery out of great themes, to put confidence in your voice and the weight in your seat at the front of the room.” Straightforward + conversationally-written help on how to structure your classes through intention. Purely awesome. You name it (just about) and that sequence is in here — if it’s not, you’ll have all the inspiration + supplementary information you need to build it. A bountiful array of asana arrangement, including a “Healthy Wrist Sequence,” beginning/intermediate/advanced flows, yoga for elementary/middle/high school kids, a comprehensive special section for women (menstruation, prenatal, postnatal, menopause, bone health), yoga for seniors, AND chakra-based sequences. Brilliant. 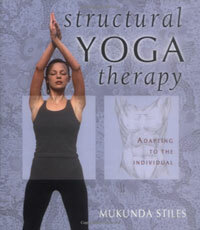 “Through in-depth study of the gross physical body, the subtle body can be appreciated more — as can Albert Einstein’s words, ‘God is subtle.’ To know the subtle workings of the body is to appreciate and respect the indwelling Being that remains changeless as our appearance changes from infancy to childhood to adulthood to old age.” A unique human kinetics-tinted perspective — the real gems are “The Joint-Freeing Series,” charts, and diagrams.